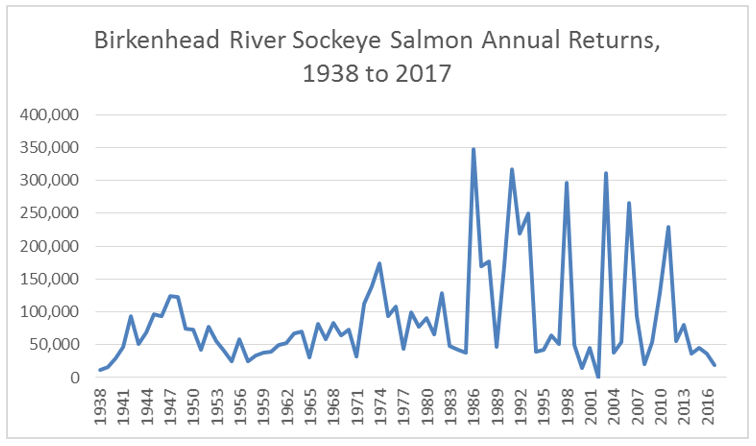 Please see the line-graph that represents the amount of sockeye salmon that have returned to the Birkenhead River over the past 80 years. Interestingly enough, the biology of the sockeye salmon has the juveniles migrating to the ocean and returning after 4 years. In working collaboratively with the Department of Fisheries & Oceans and the Pacific Salmon Commission, the scale samples that we collect annually are analyzed, and the results show that the Birkenhead River sockeye salmon return in differing age groups. A small percentage return at the age of 3, we call those jacks, a larger percentage return at age 4, and a similar amount return at the age of 5 years. In 2010, the data shows that 128,465 returned, in 2014, 35,759 returned and in 2017, 18,497. As you can see, it’s complicated and so creates the challenge to be able to anticipate or project the amount of returns. 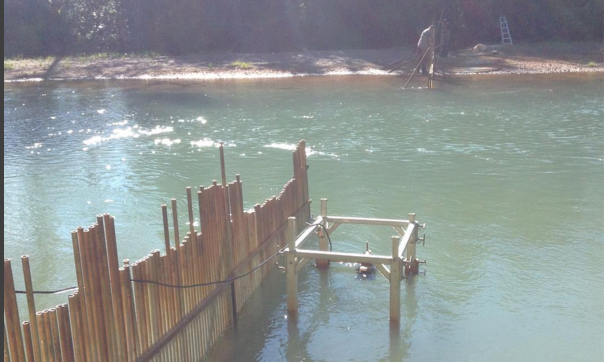 Nation Fisheries Salmon Stock Assessment Program. Should you have any questions or comments, please don’t hesitate to contact Maxine Bruce, Fisheries Manager at the Úlĺus Community Complex.